Let me start by saying that Granite Gear's customer service is wonderful. That it became necessary to contact them is the subject of this review. I purchased the Nimbus Meridian four months ago and have used it on several occasions. I had an initial problem with teeth pulling out of the zipper at the top, no problem just didn't pull the zipper up all the way. Unfortunately during my last hike the zipper completely failed. This was on day 2 of a 5 day trip in the BM wilderness with 38 lbs of gear and food. Managed to get by using my tent and the compression straps to plug the hole. Not very impressive performance. Upon my return I sent the pack back to GG. They replaced the zipper and patched a hole in the top where a hungry squirrel tried to score breakfast one morning — no questions, no charge and no problems. Other than the zipper problem the pack is very comfortable. The belt (which can be exchanged for free to get the best fitting size) bolts to the pack at one point. This allows the pack to pivot as you walk. Nice feature, keeps the pack very stable but it is noisy. The constant squeak with each step conjures up visions of the tin man from the Wizard of Oz. On the upside it is probably as effective as a bear bell, so you can shave a little weight there. To be fair, this seems like more of a problem the heavier the load. With 20-25 lbs the volume is noticeably less. 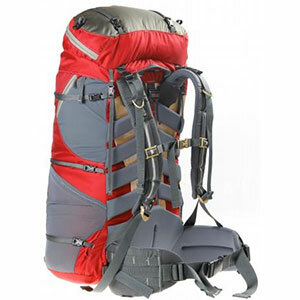 Even though this pack is rated for 40 pounds, when you approach that weight it just doesn't seem to have the "right stuff". Aside from the squeak, the belt requires repeated tightening as it tends to loosen up a bit under heavier loads. 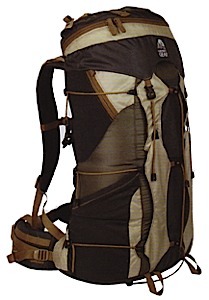 As a lightweight pack carrying less than 30 pounds this pack is great. Good for overnighters but not built for multi-day excursions. did you ever find a solution to the squeak? Unequaled. This pack has been around the world with me and performed some the most demanding work, never letting me down. Still loving it to this day in mid-2017. 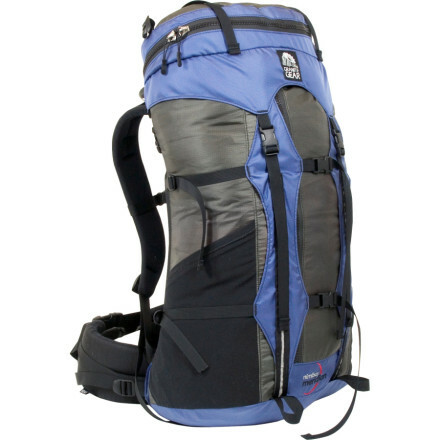 I've owned this pack for 10 years and done the Tour du Mont Blanc with the GG Nimbus Meridian, in camping only mode. 110 miles and 37,000 ft of elevation gain/loss. Beyond this, it served me perfectly as a member of the Vail Mountain Search and Rescue team. I'd bought a well regarded pack to do this work rather than beating up my GG Nimbus but the other pack couldn't match the comfort and carry that the Nimbus easily does. Routinely as our search team stopped to rest, I was the only one leaving my pack on. I find myself struggling to find a daypack with as much thoughtful care in design, after retiring old Dana Designs and Black Diamond packs. I hope the Nimbus Meridian lasts for another 10 years because I doubt there's a better 60L pack out there, for me anyway. Welcome to Trailspace, Ron! Thanks for sharing a review of your GG pack. Do you have any pictures of it in use you could show others in your review? By the way, I'd love to do the Tour du Mont Blanc. I hope it was fantastic. The Granite Gear Nimbus Meridian is THE backpack to own if you are thinking of going lighter and going longer. There are too many details too cover, but I will do my best. First, the pack is constructed beautifully. All of the seams on my pack are stitched perfectly and extremely strong. The silnylon is much thicker than I had anticipated. There are six, yes six, compression straps. Located on the front are two with two on each side. There are also an additional two compression straps located on top of the lid which are small but can secure a sleeping pad or a water bottle when used as a daypack. 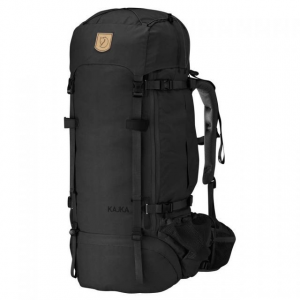 One neat thing about this pack is that with all the compression straps and extra lengths of cord, this pack can be compressed for fairly small daypack duty. The lid can be removed and the entire bag can compress and literally contstrict itself to a little less than half the initial volume. I plan on shedding the lid for overnighters and shorter hikes. 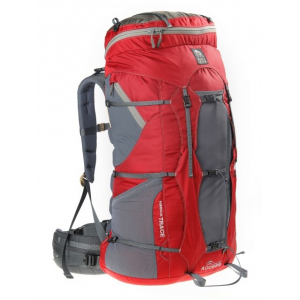 I have used this pack on several short hikes and it is amazingly comfortable with loads over forty pounds. The frame flexes nicely and the hipbelt pivots slightly to allow a more natural movement. The padding on the back of the pack feels like memory foam. I ordered a regular size as I am 6' and 185lbs. The frame allows for torso length adjustments in one inch increments. It is slow and requires a phillips headed screwdriver. I found my pack to be most comfortable on the default torso length of 20". The weight almost completely transfers to my hips and is even more comfortable the better your posture is. Comfort should be one of the top reasons you pick a pack, so don't cut corners. The front panel access via the RiRi waterproof zippers helps out a ton. The only weird problem is that the flap for the panel is not sewn to the tougher bottom fabric. It all seals up nicely when full but still leaves me wondering why it is like that. There is a dedicated hydration sleeve and exit point, but my Camelbak Omega bladder's shut-off valve and mouthpiece are all but impossible to fit through the designated exit port from the bag. I instead run my mouthpiece through the top of the main entry point secured by the drawstring. Now the downsides. There are seemingly endless amounts of excess straps all over the bag. I plan on removing several feet, not because I'm weight conscious, but simply because I don't like the feeling I'm inside a ball of string. The only other problem is there are a lack of pockets. There is the lid, two bottle pockets which are rather large, and the main compartment. In conclusion, this pack is quite possibly the best medium volume pack on the market. The fit and finish is superb. The comfort level is too good to be true. The adjustability is limitless. The Granite Gear Nimbus Meridian is THE benchmark for ultralight packs. Buy one now. I have taken this pack on three separate trips now, with an average pack weight of 21 lbs before water (around 30 lbs with water). The only thing I can say about this pack is...IT ROCKS!!! I have hiked over 10 miles per day through some hilly (although not mountainous) South MS terrain. I have experienced NO back pain nor shoulder fatigue. I do not ever recall having to re-adjust the load at any time during the trip. 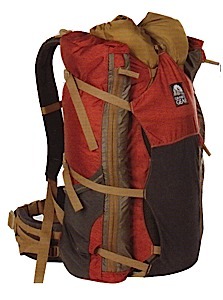 This pack is a top loader with very few pockets (in hood and one deep pocket on each side), but I have not found it to be difficult to load or to get to my items when they are needed. The front zipper which runs the length (vertically) of the pack makes unloading in camp a breeze. The lack of pockets has indeed forced me to organize the pack better. And the hood opens up better than any I have seen before, giving full access and view of the hood pocket. I was leery of the fixed suspension (it is adjustable, but once you put it where you want it you bolt it into a fixed position) as I have always used adjustable suspensions, but I am hooked. It has been the best fit I have ever had, and it doesn't move once set, so no constant re-adjusting. The materials are a bit "flimsy" compared to most packs - thus the weight savings. But if care is taken in placement of items, I don't see this as a problem. I am quite careful with my equipment so I anticipate no problems. All in all, this pack is well worth the price. Design: Top-loader with front panel access. Number of Pockets: 3 including lid. Great ultralight pack! I recently used this on a 16 mile trip on the AT in Tennessee and it performed flawlessly. Total weight carried (food and water included) was 30 pounds, as we were planning on a longer trip but had to cut it short due to injury. It is super comfortable and very light for its volume. Loading it was very easy and I experienced no durability issues on the trip. It's a pretty well thought out design too, though I am still a bit up in the air on the front panel zip. On one hand it made getting things out super easy, but getting it zipped back was another matter. The fit on the pack was unbelievable and very adjustable. Oh, the lid is huge and removable too. Side note: Upon purchase of the pack, I realized I needed a smaller hip belt. This pack has a modular frame, and GG will exchange any (unused)component for a different size for free, minus 9$ shipping. Just fill out the form and send it in with the part you need exchanged. Turnaround time was about 4 days for me. The Granite Gear Nimbus Meridian is not available from the stores we monitor. It was last seen February 3, 2014	at CampSaver.com.